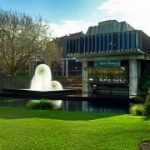 Situated in Christchurch, the Town Hall has multiple conference, convention and meeting spaces and is the perfect space for the RMLA Conference 2019. Over the course of the two days the conference will utilise the venues within the Town Hall allowing delegates fully enjoy this new space and its conference. Can’t be there in person? No need to miss out on this year’s fantastic speaker lineup! This year RMLA’s Visionary Environments conference will be live streaming the keynote and plenary sessions, for those who cannot be there in person. From the comfort of your office, tune into any of our 12 keynote plenary sessions, and participate in the Q&A’s as if you were there. RMLA NZ keynotes and plenary sessions will be live-streamed and all sessions will be viewable on-demand within 24 hours.